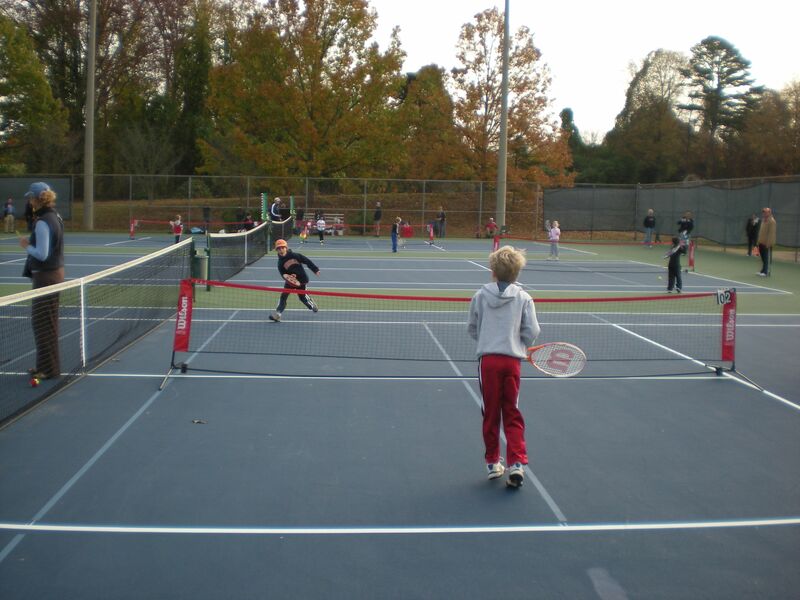 Mecklenburg County Park and Recreation painted permanent QuickStart lines on four courts and mini nets were easily set-up to create eight 36’ courts. 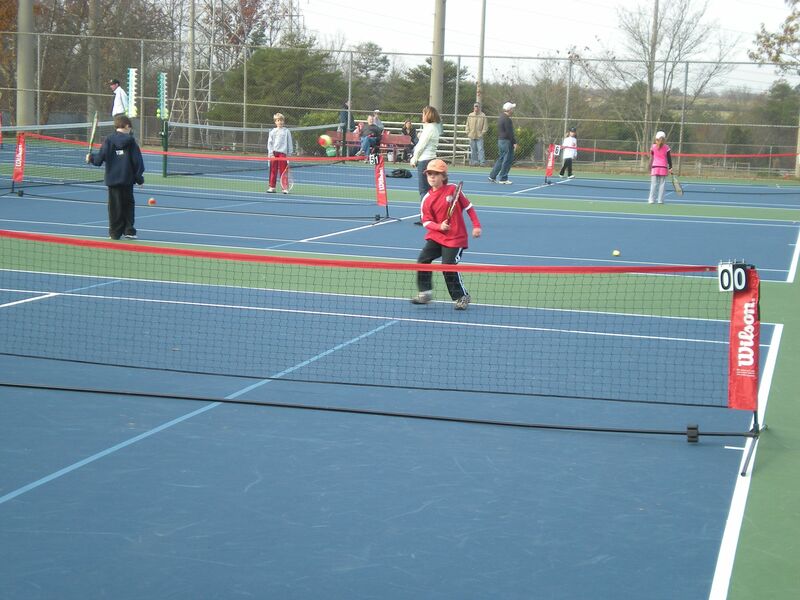 Low compression balls were used and loaner racquets were available to insure that all children were playing with appropriate sized racquets. The event was held from 8:30 am to 11:30 am on Saturday morning. 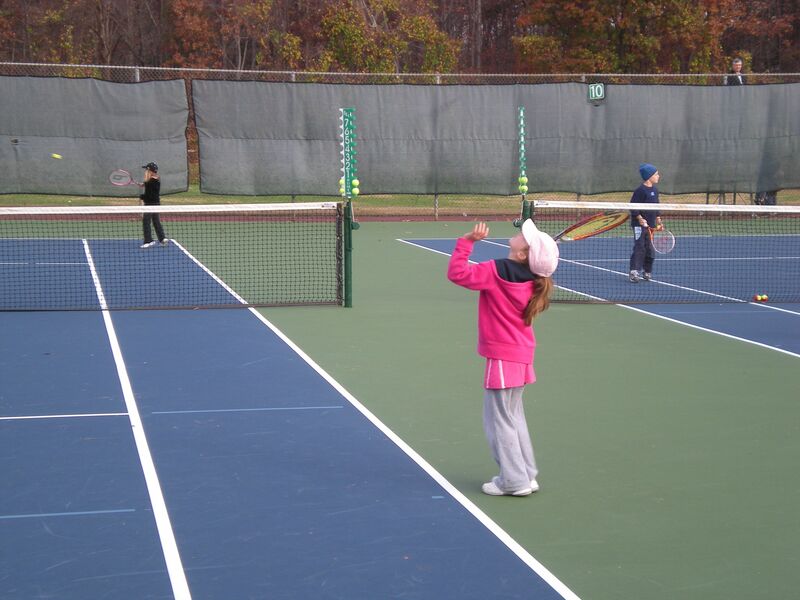 Area tennis professional and long time Commissioner for the Charlotte USTA Jr. 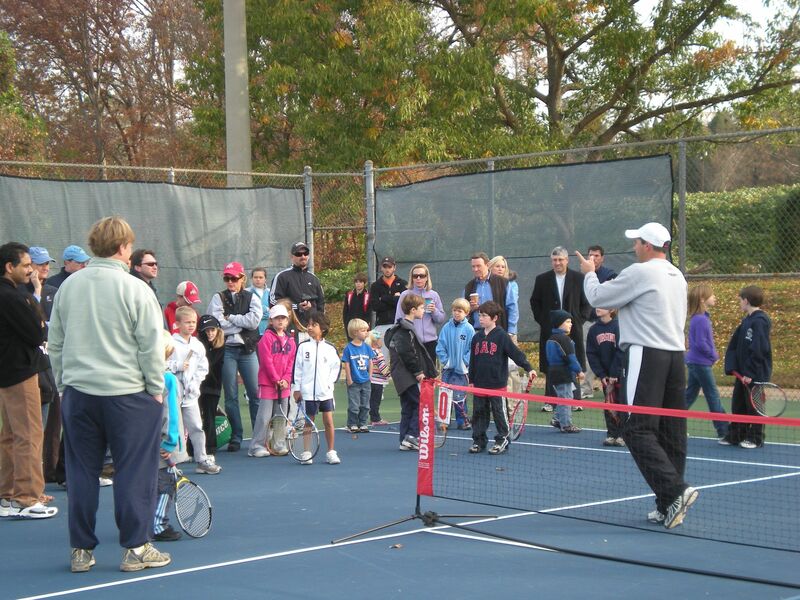 Team Tennis program, Dwayne Thomas, did a fantastic job assisting the CTA in organizing and managing the event. Dwayne started the morning by addressing the parents and players to be sure they all understood the individual match format and rotation, as well as what to expect from the on-court volunteers who would be assisting the players during their match. 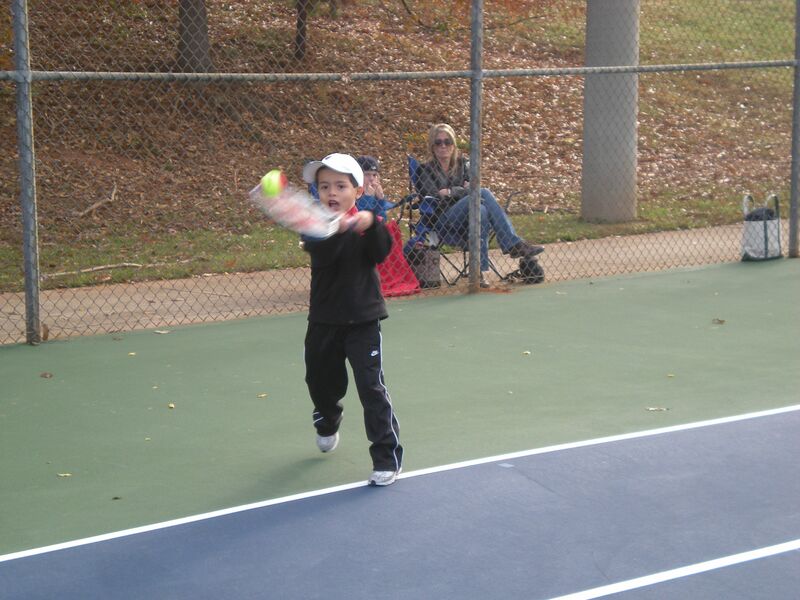 He stressed that spectators should just enjoy watching the children play from outside the court, which was a good thing since there were almost three times as many spectators as there were children! The players were placed in three groups six, and each player got to play five matches. Each rotation took an average of 20 minutes, however, there was always at least one long three set match which gave others a chance to interact over a drink of water. All players received one of the long sleeve tournament t-shirts and a player gift bag, as well as a colorful specially designed	“8&U QuickStart Competitor” ribbon. Following play, each child was treated to a slice of pizza and a Dippin’ Dots ice cream -- never mind the cooler temperatures! 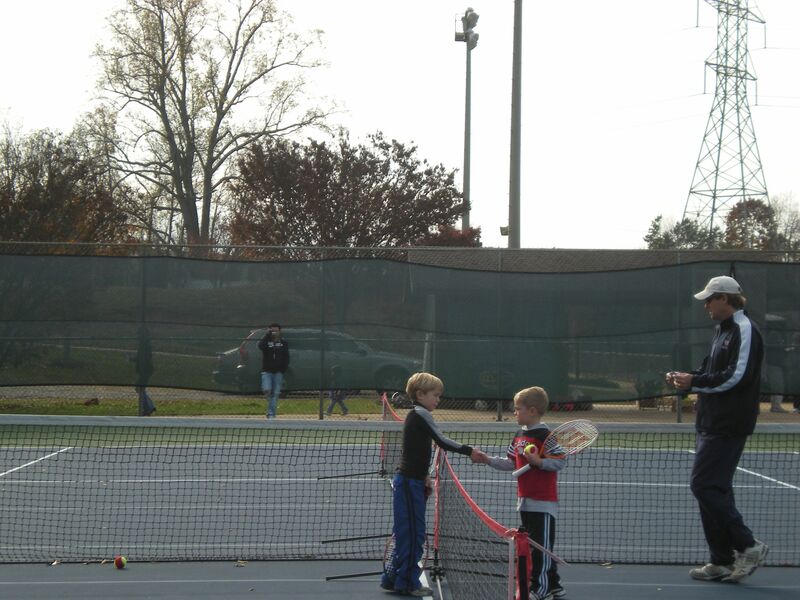 The CTA mailed about 500 flyers to players in the Charlotte USTA	Jr. 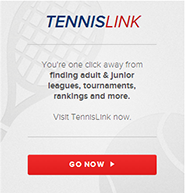 Team Tennis data base to promote participation and the NC Tennis voucher program. This clearly had a positive impact on participation, and many children showed up wearing their Jr. Team Tennis uniform shirt. By all accounts this was a fun experience for first time and returning tournament players, and for everyone involved in hosting the event. The event was a huge success thanks in part to all the volunteers and support from Mecklenburg County Park and Recretion!